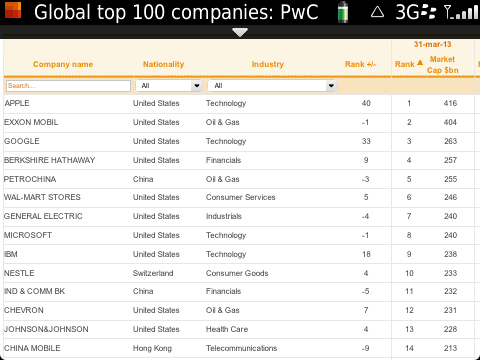 Have a look at this PwC report of the world’s top 100 companies by market capitalization. In simple terms, how the shareholders do the valuation of the companies. Doesn’t mean that, solid multi billion dollar revenues do not automatically make you the most valuable company in the world. YET, the paradigm shift has not taken place so far. Traditional companies in traditional industries having physical transactions and billions and billions of $$$ sales are still the most valuable companies in the world. Google is the only exception. Just wondering, if the intellectual innovation based tech companies ( Facebook, Twitter, Evernote, Foursquare etc ) with no transaction value can break into this league. If so, why? Just because, they have the power to INFLUENCE your transactions with these traditional companies. The landscape may change very soon!